When the phrase “online advertising” is mentioned, paid social media posts aren’t usually the first thing that comes to mind. 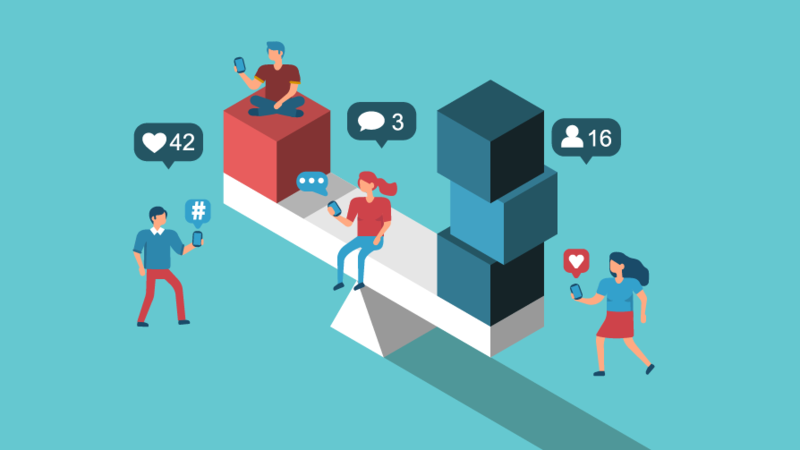 While paid search is great for capturing users with buying intent (feeding the bottom of your sales funnel), social media advertising is more effective in building brand awareness and reaching new audiences at the top of your sales funnel. At Brand chemistry, we’ve seen LinkedIn Sponsored Post campaigns yield click-through rates as high as 2.2%, performing well above the industry benchmark of 0.3%. Although it’s quite common to achieve good results during your first few tries (there is such a thing as beginner’s luck or rather, random chance! ), maintaining this level of engagement poses a challenge for marketers. And this is where A/B split testing comes in. A/B split testing is a tactic used in marketing to determine the performance of opposing elements in your marketing efforts. In the case of LinkedIn Sponsored Posts, split testing allows you to compare two versions of your ad or campaign, with only one differing element between them, to determine which variation of this element performed better. This variable could be a different image or body copy, or a different way of selecting your target audience for the campaigns. Split testing allows you to measure the difference in performance of your ad or campaign, and consequently informs which version will return a higher ROI for future campaigns. Do keep in mind that the statistical difference must be significant enough to rule out the probability of random chance. We find that it’ll usually take more than three rounds of the same test to be conclusive. I see! So… what can we test? Before you start testing, we need to stress that you should only ever test ONE element at a time. This means that both your campaigns should be identical except for the one single aspect that you’re testing. If you’re varying two aspects, it’s impossible to know which made a difference. Ad copy is one of the first elements you should test. The aim is to find out what copy style triggers a desirable action from your audience. Are they tempted by questions? Are they moved by empathy? Are they provoked by a fear of missing out? Do they react to clickbait? 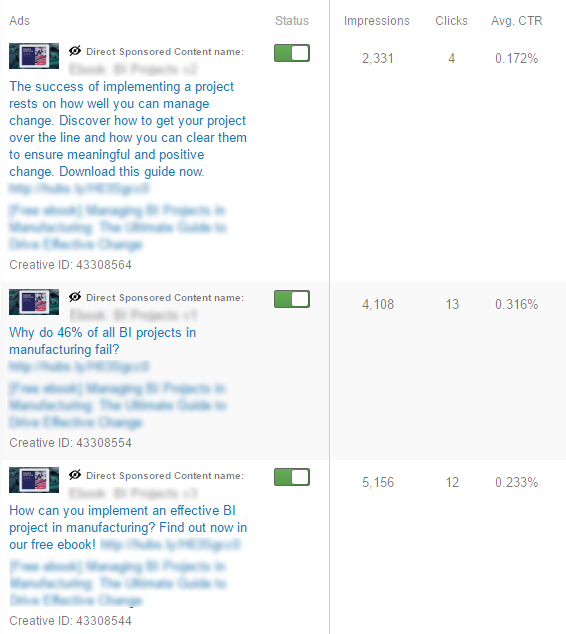 At Bc, ad copy is one of the first tests we run on our LinkedIn ad campaigns. Each ad campaign usually contains three types of copy style: question type, benefit type and empathetic type. Question-type copy starts with a question in the copy and ends with a call-to-action phrase. This question addresses your target audience’s pain point, and the call-to-action that follows prompts them to go a step further to obtain the solution for their pain point. For example: Confused by the different marketing automation options out there? Download this guide to understand how to choose the best platform for your business in 10 easy steps now. Benefit-type copy starts with stating the value your target audience will get from the content piece and also ends with a call-to-action phrase. This value is the solution your potential customer is looking for, and the call-to-action that follows it should come across as the next logical step they have to take to solve their pain point. For example: Learn how to choose the best marketing automation platform for your business in 10 easy steps. Download the guide now. Empathetic-type copy starts by demonstrating to your target audience that you understand what they’re going through and ends with a call-to-action phrase. For example: With so many marketing automation options out there, it can be a little overwhelming to figure out which you should invest in. But don’t despair! We’ve done the hard work for you with this guide. Download it now. 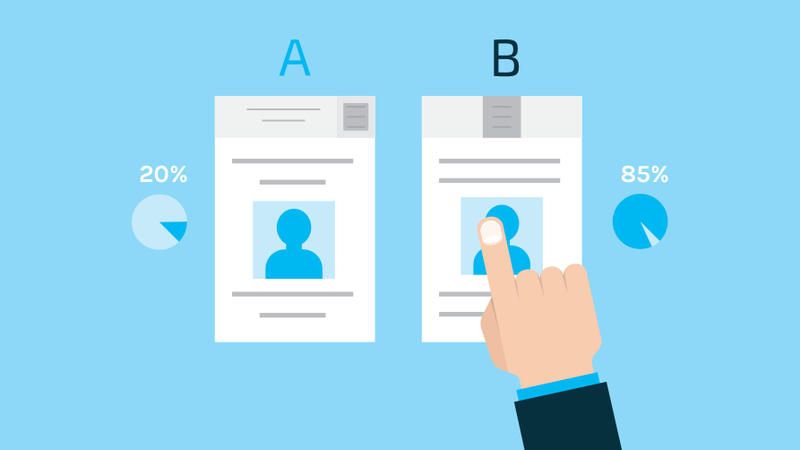 At Bc, we have done split tests with a combination of 2 or all 3 copy types, and found that engagement varies between different styles for different audience selections. The results of a LinkedIn ad campaign we ran for one of our clients in the technology industry shows that empathetic-type copy performed better than the question-type copy in a campaign targeted at managing directors, marketing directors and CIOs in Australia. The empathy style received twice the number of clicks (13 vs 6) and almost double the click-through rate (0.3% vs 0.19%) compared to the question style. However, testing shows that preferences differ from audience to audience. Let’s go through a test we ran for another client. Using the same two copy types as the above ads, this campaign was targeted at information system analysts in Australia and New Zealand. As you can see from the screenshot below, the question-type copy performed better than the empathetic-type copy. The lesson? Different audience groups react differently to different copy styles, hence it’s important to have a few ad variations in your campaigns to cater for varying tastes and to find out which variation works as the best trigger. Bc takeaway: Remember to run tests with the same opposing element at least 3 times before you draw a conclusion. LinkedIn has a comprehensive range of targeting options for you to reach your target audience. You can filter them by job functions, job titles, groups, company size and industries to name but a few. If you’ve been using LinkedIn ads as part of your marketing strategy, you might have found that different combinations of different filters result in a different audience size for your campaign, even when you’re filtering to reach only one audience type. 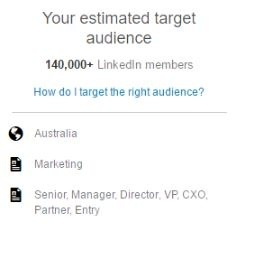 For example, if you’re targeting people who work in marketing in Australia, and selecting them using the geography and job title filters, you’ll get about 70,000 people in the pool. However, if you select this same audience using the geography, job function and job seniority filters, you’ll get about 140,000 people in the pool. We recommend using job titles with caution as some LinkedIn users will change their job title to get your attention and stand out. 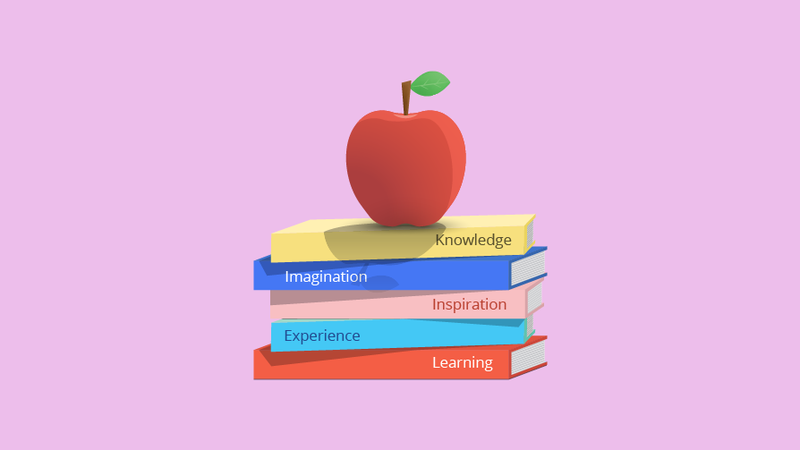 Writers or content producers could be flying under the radar as Word Wizards. Online Marketers could identify as Digital Marketers. We suggest trying different variations to find your ad-target sweet spot. At Bc, we have had excellent results with different combinations, for various clients and industries. The screenshot below shows the result of one of the recent ad campaigns we ran for one of our services clients. We ran two LinkedIn Sponsored Post campaigns with the goal to drive traffic to a case study page on their website. Both campaigns contained the same ad variations, and were targeted at the same audience, but one of the campaign’s audience was selected using the geography and group filters, and the other was selected by using the geography, job titles and industries filters. As you can see below, the geography and group filter combination performed better than the geography, job titles and industries filter combination, with the former generating twice as many clicks and engagement compared to the latter. And the bonus? A lower cost per click! Although it is easy to draw conclusions after a few tests, it’s important to stay agile and continue testing the conclusion between long periods of time (Bc recommends twice a year) to keep up with behavioural changes in your target audience pool. 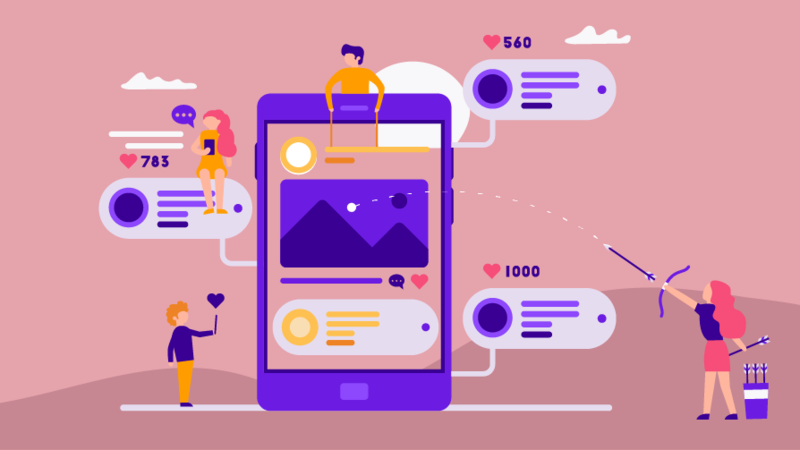 Bc takeaway: Run campaigns with different audience segmentations respectively in different time frames to avoid audience fatigue and data corruption because it is likely that your audience pools will overlap. CPC: is cost-per-click, where you’ll only get charged when someone clicks on your ad. 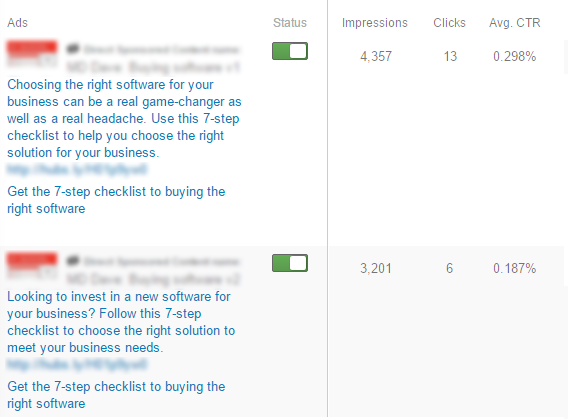 CPM: is cost-per-thousand impressions, where you’ll only be charged every time your ad is shown 1000 times. It is often misunderstood that the bid amount you enter determines the cost of your ads. This isn't entirely true because what you’re really doing is bidding against your competitors to reach the same target audience. The amount you end up paying per-click or per-thousand, may or may not coincide with your initial bid amount. At Bc, we have tested both bidding strategies for various clients, and again, different bidding strategies have performed differently for different campaigns. The screenshot below shows the results of the bid strategy split test we ran for one of our clients in the executive coaching sector. Both campaigns have the same ad variations and target audience selected, but one of the campaigns was executed with the CPC bid strategy and the other CPM. As you can see below, the CPC strategy worked better for this campaign, resulting with a higher number of clicks, engagement and consequently, a lower cost per click. On the other side of the coin, we have also had successes with CPM bid strategy campaigns that brought in a comparable number of clicks and impressions, which also resulted in a low cost per click. Bc takeaway: Bc recommends to run ads using both bid strategies to achieve the best ROI for your industry and audience. Although it can be easy to draw conclusions and apply the same deduction to every ad campaign and audience group, DON’T. Little variations can have big impacts on your results. So keep testing and redefine your conclusions, and always remember to only have one differing element in your ad campaigns to achieve clear and conclusive results. Happy testing! Social media advertising is part of a wider distribution strategy in an inbound marketing plan. Download our quick-start guide to learn more about inbound marketing and how to get your fantastic content in front of the right audience.